Growing into a respectable athlete is always a gift, but being able to maintain status as a dual-sport athlete is an incredible blessing! Today’s article will feature Greenville University’s dual-sport athlete, Scott Woker. Born and raised in the town of Greenville, Woker attended Greenville High School where he first ran track for two years but was really more interested in football. He was inducted into his high school’s hall of fame and was named All-Conference twice. He left home after high school for his first year of college but made his way back to his home town and Greenville University in 2017. His track career as a thrower was mainly just to keep him busy while football was not in season and to stay in shape for the upcoming football season. 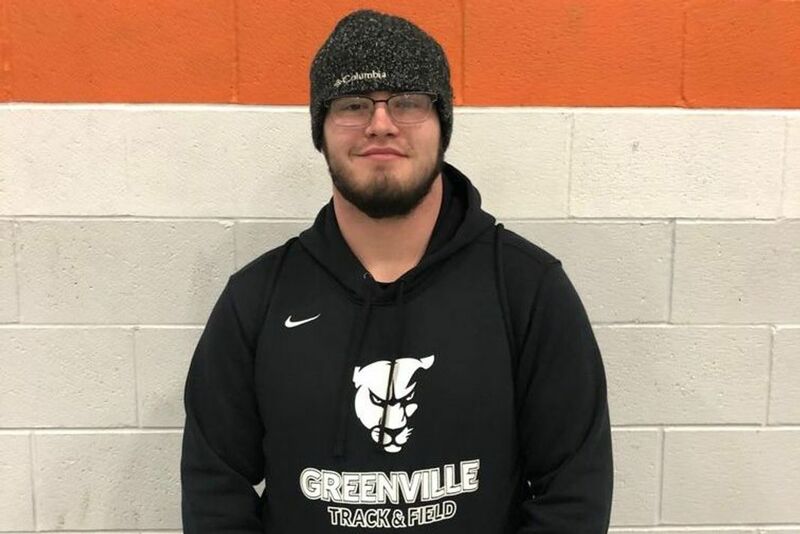 Woker has developed a great relationship with Greenville University’s strength and conditioning coach, Coach Broomfield, who also coached track at his high school for a long time. Track was another way to interact with Coach Broomfield and to have fun outside of football season. 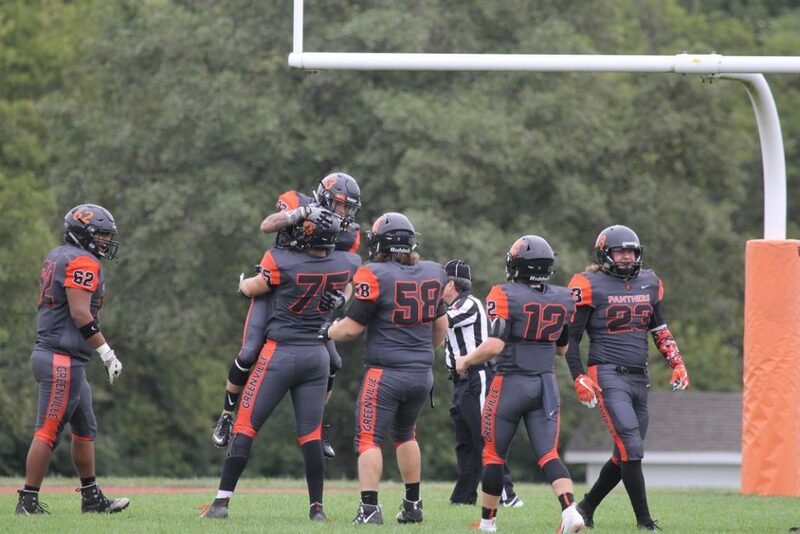 Woker #75 celebrating a touchdown with his teammates. This is Woker’s first year throwing weight. He was supposed to throw last year but, unfortunately, he had shoulder surgery. The track and field team’s most recent meet this year was held at Principia College this past Friday. When comparing indoor track to outdoor, outdoor track is more enjoyable for Woker. Indoor is heavier weights and it is more about size than technique. 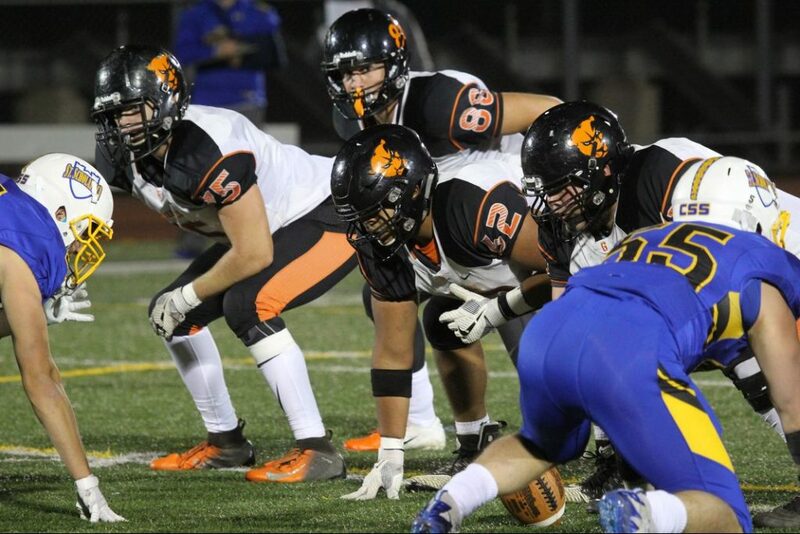 Woker is aware of how track is preparing him for his upcoming senior football season. What he does during track involves a lot of precise footwork which is very applicable to football. Also, the workout program is slightly different, but in his opinion, even better than the football workout program. Running does not pertain to Worker except maybe warm-up laps. He is mostly involved in throwing. When asked what his life motto is, Woker says, “go hard or go home.” This means if you are not going to go 100% then don’t go at all! Woker in the zone. Media by: Dana Fitch. According to Woker, being a dual-sport athlete can be challenging at times. Football requires him to be present for Tuesday night meetings, and on Wednesdays, he has lifting at six in the morning. Therefore, there are times that conflict, and there are times during spring football that he cannot be there because of track meets. It can be challenging, but at the same time, it is really rewarding. In most cases, playing more than one sport in high school is doable, but in college, not everybody has the rare opportunity to be able to play two sports competitively. Woker’s main goal for this track season is to qualify for Christian Nationals, which he may accomplish this week. A quote that Woker uses to motivate himself in sport, in general, is from NFL defensive end, JJ Watt. He said, “everyone wants to be a beast until it comes time to do beast things.” Everybody wants to be the best, and everyone wants to talk about how athletic and good they are, but when it comes time to perform not everyone does it. Woker is one of the few that does! Derrion and Daniel, good job!